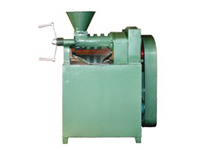 We are offering international quality standard Oil Refinery Process Machinery and the relative method for oil mills. High end technology and premium raw materials are used in fabricating high performance and durable Oil Refinery Process Machines for customers. With realizing that palm oil processing is a delicate task, we design excellent range of oil refinery process plant and the relative machines for the customers all over the world. 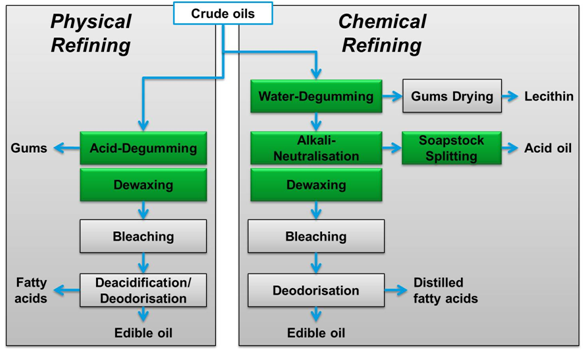 To produce refined oil, crude palm oil and crude palm kernel oil is processed through three refining stages, namely degumming, bleaching and deodorising. In degumming, the gum and fatty acid in crude palm oil and crude palm kernel oil are separated together with other impurities such as trace minerals, copper and iron by the application of phosphoric acid. 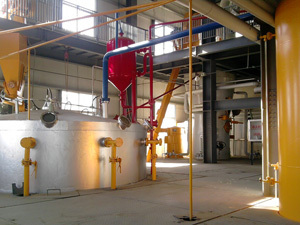 These processes are used either individually or in combination to produce suitable palm oil for various applications. If you are interest in our Oil Refinery Process or you want to set up an oil milling plant , please don't hesitate to write to us from the following form, we are always at your service!